We supply a wide variety of transfer papers which is available in various sizes and patterns according to the requirement of our clients. 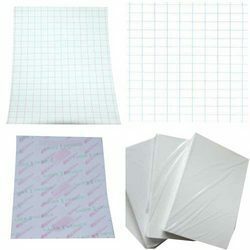 These papers are manufactured form high quality materials and thus are used in various industries. We are offering these papers at most competitive rates. Looking for Heat Transfer Paper ?